There are people throughout the world that identify with the urgency of climate change and environmental degradation. The science supporting the shifts in our earths imbalance lead us to believe that we each must play a role to solve a multitude of problems to reverse the damage that has already been done. Global Warming is real. In addition, the deprivation due to chemical spills and hazardous waste of major watersheds, rivers, lakes and streams that supports fish hatcheries, a source of protein for human consumption is now linked to endocrine disruptors; chemicals that, at certain doses, can interfere with the endocrine (or hormone) system in mammals. These disruptions can cause cancerous tumors, birth defects, and other developmental disorders. The suns powerful energy can circumvent and even mitigate wasteful sources needed to power our world through solar and other newer cell technologies that will enable off the grid opportunities for shared collective communities in the future. I have interviewed many fascinating people who have been accredited with major milestones. 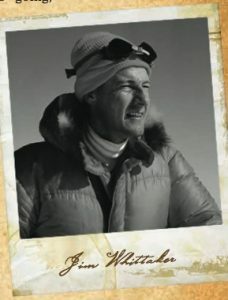 Jim Whittaker at 83 years of age returned to the summit of Mt. Everest. 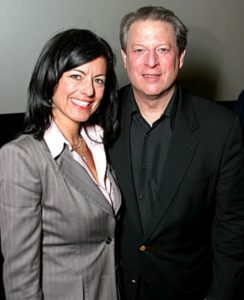 Vice President Al Gore, the father of the Internet and a Nobel Laureate for his work, both the book and film, also co-produced by activist Laurie David, An Inconvenient Truth, whose determination to raise public awareness of the dangers of global warming helped to fortify an international movement to curb its destructive effects on the environment. 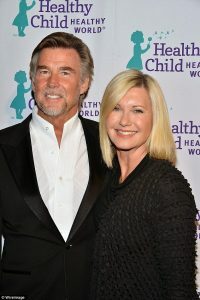 In our upcoming series, Earth Healers, on LuxEcoLiving and The Huffington Post, we will be profiling people whose passion and dedication are changing major paradigms from human health, for the prevention of disease, to new modalities in cancer treatments. Inventors, scientists, entrepreneurs, authors, musicians, actors, men and women who are adhering to a calling whether its based on personal experience, or a humanitarian goal…. their perseverance for preservation is key. As consumers we have a goal in regards to how and what we consume and why. Southern California is blessed with the rays of sun throughout the year. On average in Santa Ynez California we experience 286 days per year. 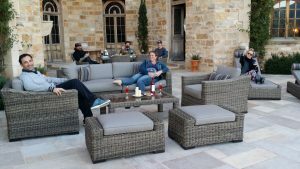 Living the outdoor lifestyle in our community requires furniture you can depend on year after year, manufactured well, easy to transport, and beautiful and comfortable to live with. 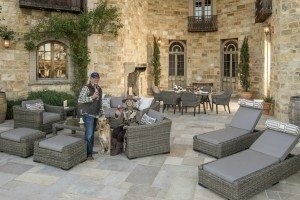 In introducing this series, we were fortunate to find rstBrands and their sustainable worldwide partner, Sunbrella which provide all of the materials and fillers for the cushions, lounges, and standing umbrellas. 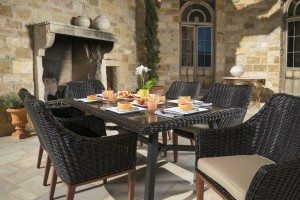 Here is a quick pick look at what LuxEcoLiving recommends for your summer outings in your own backyard with friends and family. 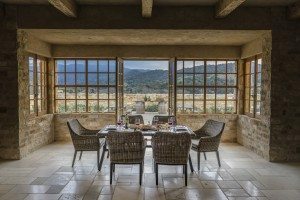 rstBrands, recently photographed their stunning products at one of our favorite Santa Ynez Wineries, Sunstone, set in the heart of our valley and one of a very few vineyards that is (CCOF) certified organic. 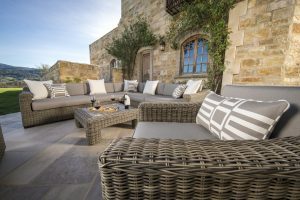 rstBrands offers a variety of sustainable handmade outdoor furniture and utilizes one of the most important sun shields in the development of their products. The patented Sunbrella fabrics who I might add made environmental responsibility a priority decades before the “green” movement.